Virgin Galactic’s VSS Unity Reaches Space! Image: View from Virgin Galactic’s VSS Unity December 13th, 2018 (courtesy of Virgin Galactic). A historic milestone in space development, and especially for the start up of space tourism, was achieved this morning Thursday December 13th by Virgin Galactic when their reusable space ship VSS (Virgin Space Ship) Unity (a.k.a. SpaceShipTwo) reached space on its fourth powered test flight. After release at 43,000 ft from its launch aircraft WhiteKnightTwo (Virgin Mother Ship Eve), VSS Unity crossed the 50 mile high boundary of space, achieving an altitude of 51.4 miles (271,268 ft or 82.7km) with a 60 second burn of its rocket engine and max speed of Mach 2.9. The flight started at about 7:10 am PST out of the Mojave Air and Space Port in California. “We’re going to space today,” Virgin Galactic founder Richard Branson said while he watched the takeoff. VSS Unity was released about 8:00 am from WhiteKnightTwo. Then Pilot In Command Mark “Forger” Stucky and test pilot Frederick “CJ” Sturckow ignited Unity’s rocket engine, forcing the space plane at over 3 Gs into its steep climb toward space. A minute later the engine was shut down and the space craft continued to cruise upward for a minute through the Earth’s mesosphere to its suborbital apogee of 51 miles. While in space the pilots then “feathered” the tail booms (turned them upwards) to create drag during re-entry descent through the extremely thin upper atmosphere. Down at about 50,000 ft, where aeronautical control is regained in the thicker lower atmosphere, the tail booms were lowered to the normal un-feathered flight position for the remainder of the controlled glide down and smooth landing by 8:15 am PST back at Mojave. The Federal Aviation Administration (FAA) announced that early next year Stucky and Sturckow will be awarded FAA Commercial Astronaut Wings. CJ Sturckow, having also been a NASA astronaut, will be the only person ever to be awarded both the FAA and NASA astronaut wings. In addition to being a fully instrumented test flight it was also the first revenue producing flight for Virgin Galactic, with four NASA space science and technology experiments on board. This payload was also used to simulate the weight and space craft loading of a flight carrying six space tourists. 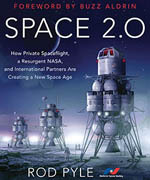 The U.S. Air Force, NASA, and the FAA consider 50 miles or 80 kilometers to be the boundary of space which is lower than the other recognized space boundary, known as the Karman Line, at 62 miles or 100 kilometers altitude and which had been adopted by the International Astronautical Federation. The IAF is to reconsider this standard next year. It is not known how many more VSS Unity test flights will be made before founder Richard Branson flies to space. However, it is expected that 2019 will see both him and the first paying space tourists boarding VSS Unity flights. About 600 customers have each committed at a cost of $250K to fly with Virgin Galactic. The Spaceship Company, the other Virgin Group company that built WhiteKnightTwo and VSS Unity has started construction of a second SpaceShipTwo type space vehicle for commission in 2020. 2019 and 2020 are shaping up to be very exciting years for space tourism. Blue Origin, the space development company started by Jeff Bezos, founder of Amazon, is anticipated to launch its first crewed suborbital test flights aboard their New Shepard rocket and to start selling tickets to space tourists next year for flights in 2020. Meanwhile, the National Space Society (NSS) gives a long-anticipated and hearty Congratulations to Virgin Galactic and the Spaceship Company, their founder Richard Branson, pilots, and staff for their major achievement today! 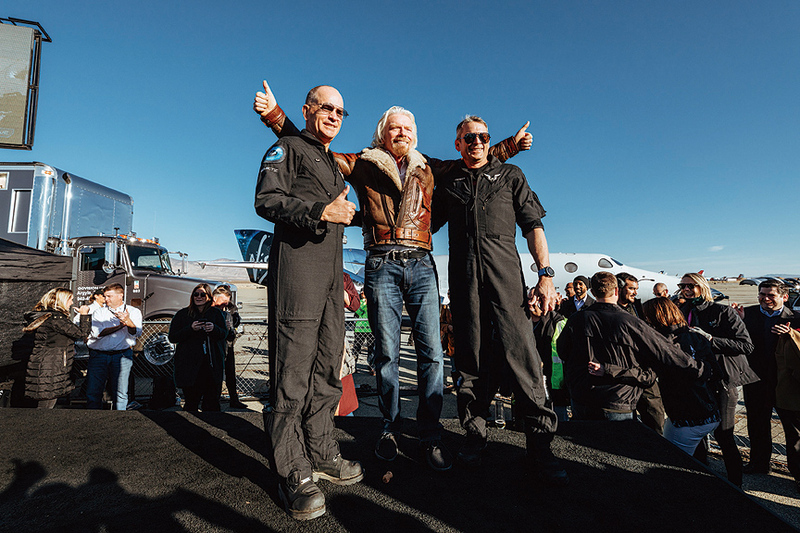 Branson flanked by astronauts Stucky and Sturckow, December 13th, 2018. 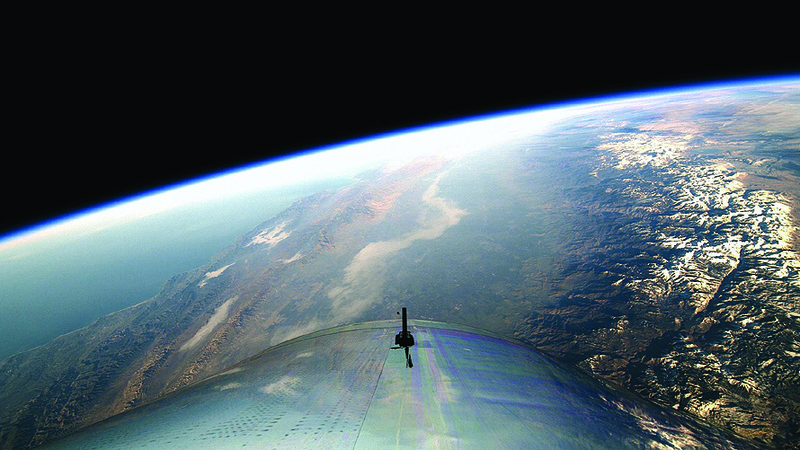 Image courtesy of Virgin Galactic. June 21, 2004 Mike Melvill piloted SpaceShipONE made by Burt Rutan & funded by Paul Allen already reached over 100Km suborbital boundary. I was there as one of the observers. Mike was awarded as the first commercial astronaut. 14 year later, Virgin Galactic VSS Unity based on the modified SpaceShipTwo to achieve 83KM flight and called it “A historical milestone in space development….” ??? SpaceShipOne could carry only two people whereas SpaceShipTwo is considerably larger and can carry eight people including six paying passengers. 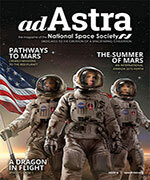 It is a long, hard road to get paying passengers into space.